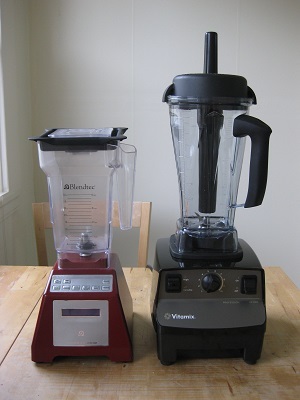 Vitamix vs Blendtec – Why not both? The eternal question: Vitamix or Blendtec? 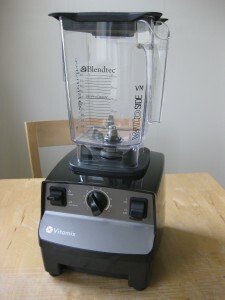 Behold this chimera of a Vitamix base with a special WildSide VM Jar. It’s the best of both worlds. The Blendtec jar is great — so great that Vitamix copied it. It’s short, easy to pour, and easy to clean. 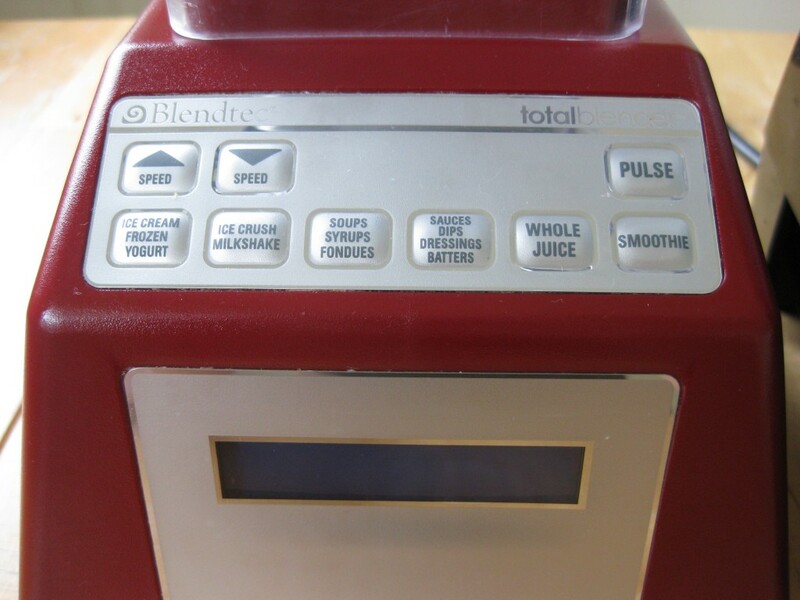 But the Blendtec controls are lacking, at least on the Total Blender. I never used the pre-programmed cycles, which meant I had to press the “speed up” button 10 times to reach maximum pulverizing power during prep. Each cycle automatically shuts off after 50 seconds, which is annoying for longer jobs. 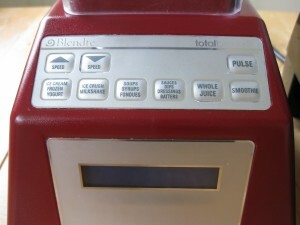 Perhaps the Blendtec Designer Series solves some of these issues with the touchscreen controls, but I haven’t had the chance to try it. 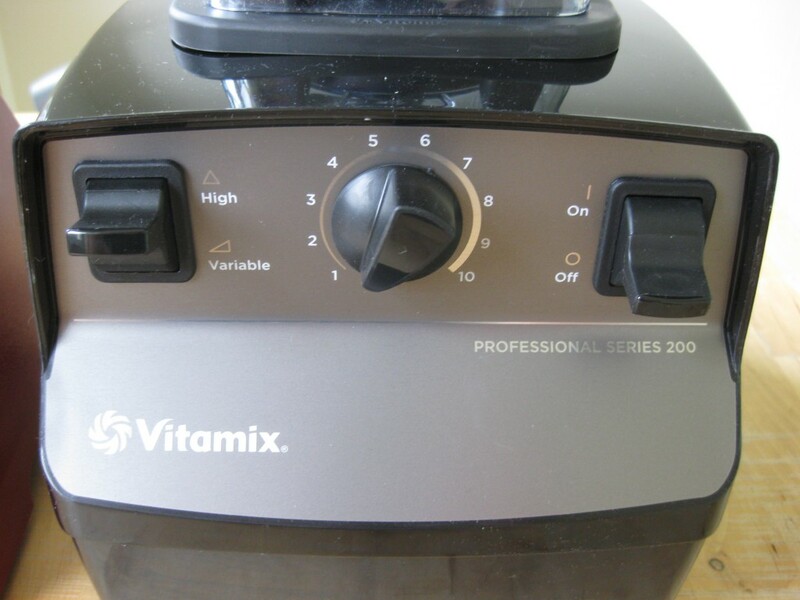 In contrast, the Vitamix Pro 200 controls are great. Instant max speed and no timer — total control over prep. But the jar is horrible. It’s hard to get the last bits out from underneath the blades. There are no right angles that form a convenient pouring channel. The lid latch is awkward. And it requires a tamper. The solution is the WildSide XL Container for Vitamix Blenders. This special WildSide VM container is manufactured by Blendtec and fits on all Vitamix blenders with the same jar as the Pro 200 or 5200. I couldn’t be happier with this combination – total control over prep with an easy pour, easy clean jar. It’s perfect. Interestingly, this is similar to the setup at my local Jamba Juice. 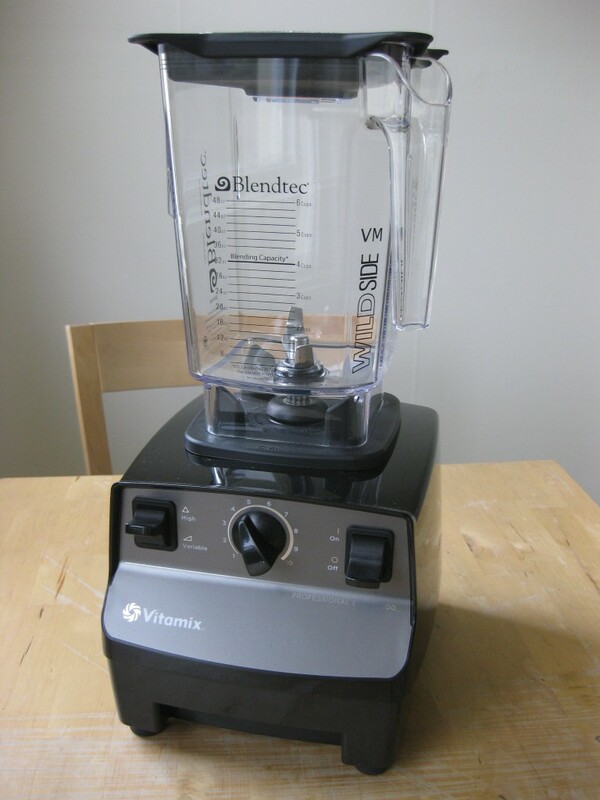 The blenders all have Vitamix bases, but all of their jars look like Blendtec FourSide jars.